Rivals of Aether, out today, wants to become every newbie’s first platform fighter. Rather than relegating that throne to Smash Bros., Rivals of Aether guts the iconic Nintendo game while retaining the skeleton of its famous playstyle. In a genre monopolized by an established AAA game, Rivals succeeds at nearly everything it sets out to do. Rivals of Aether’s character roster offers eight humanoid animal fighters, each representing earth, wind, water or fire. They’re furnished with remarkably cute backstories, which Rivals’ single-player mode details in between AI battles. In its versus mode, playable locally or online through Steam, players battle it out with smash attacks, aerials and specials, all unique to a chosen character. It’s based on Super Smash Bros. Melee, but with gorgeous pixel art and more dramatic movesets that can alter the environment or other player characters. Maypul the grass-type mongoose, for example, can mark opponents with seeds, lowering their defense, and then wrap them in ivy before smashing them off the map. But if you’re new to platform fighters, you’ll be satisfied just pelting enemies with her sling shot. 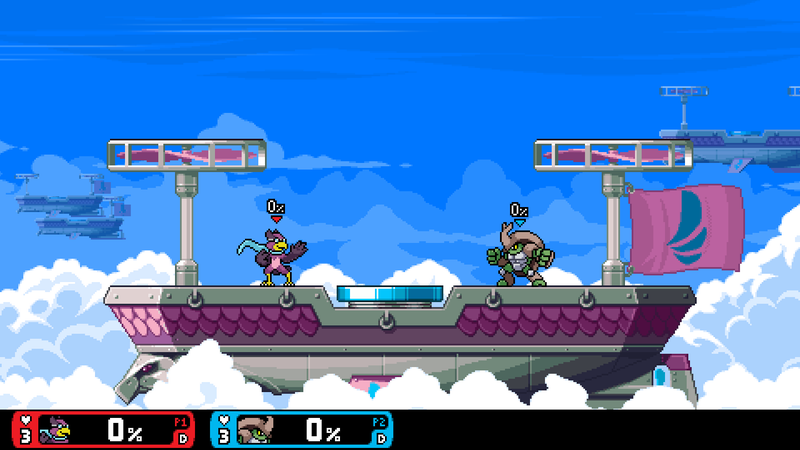 I’ve heard a few people dismiss Rivals of Aether as “that furry Super Smash Bros. rip-off.” Allow me to clear this up: Any proficiency at Super Smash Bros. will translate to Rivals of Aether due to similar controls, but Rivals of Aether is a fundamentally different game that is doing some unique stuff with the genre Smash has carved out. Writing it off it would be a mistake. It’s fun as hell and fresh and a killer multiplayer to play at home with friends. It does vary on the Smash model by replacing a dodge with a parry attack or making more use of enfeebling attacks, and in terms of its feel, Rivals of Aether offers a lower barrier to entry to a genre that’s felt overdetermined by Smash for nearly two decades. 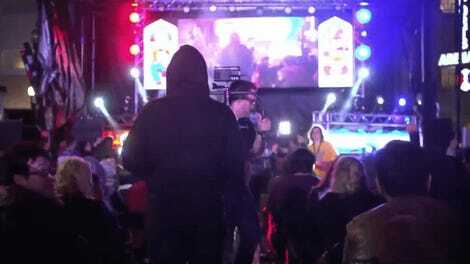 In 2015, Kotaku reporter Nathan Grayson gushed about Rivals of Aether’s Early Access mode. He said, “Rivals is streamlined in places where it makes sense, but the new mechanics seem like they open up a large possibility space for strategy—and they do this intentionally, rather than on accident like the Smash Bros. series sometimes seems to.” A year and a half later, he’s still right—Rivals takes cues from Smash’s character selection screen design, but cuts out some unnecessary options while adding a few features I didn’t know I wanted. For example, you can test out characters in the selection box. That way, you know what you’re getting before you commit. You can learn about their playstyles and moves by clicking a little “info” button, too. Also, on the character selection screen, players are simply asked their time limit, stock and team preferences before playing in versus mode. For seasoned Smash players, it’s comforting that tap jump is off by default. I never really considered how restrained Smash characters’ movesets were until I played Rivals of Aether. Characters can alter the stage or other characters, forming the basis for satisfying combos. Kragg, the ripped earth beetle, can summon a rock pillar from the ground that splits the stage in half. A fire hyena can obscure himself with a smokescreen, and hidden behind it, he can create a decoy of himself. So far, my favorite is “the storm architect” Absa the elk. She casts clouds anywhere on the stage and can send a lightning bolt from herself to that cloud, a sort of trip wire. Every choice feels pretty balanced. It is, however, a little disappointing that there’s no grab attacks. Fornace pointed out to me that, in 2D, he’d have to draw a custom reaction for each character for each throw. That sounds like a lot of work for a small team, so I forgive the omission. Also in the Smash-but-not-Smash category, I recommend playing Rivals of Aether with a GameCube controller. I used a GameCube controller adapter for the Wii U and PC USB and an unofficial, but very functional driver. Set-up was relatively quick and the payoff was enormous if you, like me, prefer to play platform fighters with a classic platform fighter controller. An Xbox release is on its way, and you can play it with a PS4 or Xbox controller, but just trust me on this. It feels good. Rivals has the trappings of an esports indie: directional influence, a long hitstun time and, most importantly, fans in the competitive Melee scene. Hopefully, it will attract champions who rep the game, though I hope its esports potential doesn’t overshadow its accessibility, which is one of its biggest draws. Three Indie Games Are Vying To Out-Smash Smash Bros.